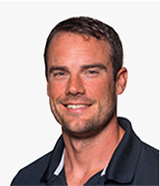 Brian is a professional sailor having competed in three America’s Cups and having won the America’s Cup in 2007 with Team Alinghi. He has competed in many world sailing championships and has campaigned for a place on the USA Olympic sailing team. Brian has a Bachelors Degree in Mechanical Engineering from the University of Connecticut, USA.